Samantha may be falling for the beloved of the princess she is sent to save in this start to a “charming and humorous” (Kirkus Reviews) romantic trilogy. Enter Samantha Kemi—an ordinary girl with an extraordinary talent. Sam’s family were once the most respected alchemists in the kingdom, but they’ve fallen on hard times, and winning the hunt would save their reputation. But can Sam really compete with the dazzling powers of the ZoroAster megapharma company? And just how close is she willing to get to Zain Aster, her dashing enemy, in the meantime. A TINY BEAD OF BLOOD bloomed where the knifepoint pressed against the tip of her finger. She held it over the rim of a glass vial and watched as the droplet fell, turning the liquid in the bottom from pink to a dark, inky blue. She’d always expected a love potion to be red, not blue. Amy Alward is a Canadian author living in London who fits writing in around her work as editorial director for one of the UK’s leading children’s publishers. The Oathbreaker’s Shadow and The Shadow’s Curse are her first two books, published under her maiden name, Amy McCulloch. She lives life in a continual search for adventure, coffee, and really great books. Visit her at AmyAlward.co.uk or on Twitter @Amy_Alward. 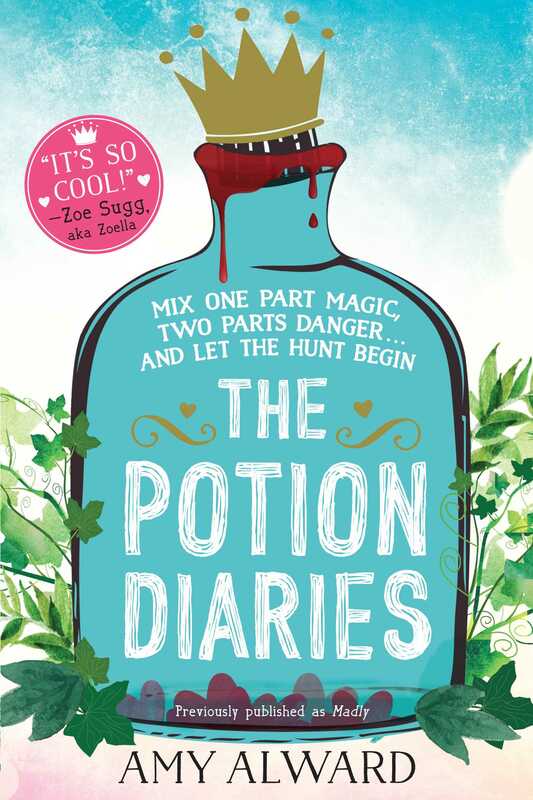 "Inventive, romantic, and downright delightful, Madly cast its spell on me from page one, and is the most fun I've had reading in ages! Reminiscent of Howl's Moving Castle, readers will instantly wish they lived in the magical, modern world of Nova and fall in love (no potion required!) with the down-to-earth, resourceful, and relatable Samantha. Do not miss out on this book--you're in for a real treat!" "The lighthearted fantasy universe mingles the contemporary and theclassic, and teens will gladly suspend disbelief long enough to follow Sam onthis journey and the sequels that are sure to come. VERDICT A fun read for fans who like their romanceserved with a big helping of magic." *"Amazing and strong female-driven storytelling,fueled by a fantastic plot, makes this a must-read." "The continuous action and suspense will keep readers turning pages."